Seldom seen Bulova with intertwined round and square bezel. 10k RGP Bezel with stainless back. Fitted with a period JB Champion band. And I have a half dozen G-S "425s" is stock, if anyone ever needs one??? I can confirm that the G-S CMQ425 does indeed fit this watch as I have fitted one to my own. The BB CMQ2115 & Perfit HMZ211/2 are equivalent. Ok, ok, Bob, I have a backlog of plated watches to upload. 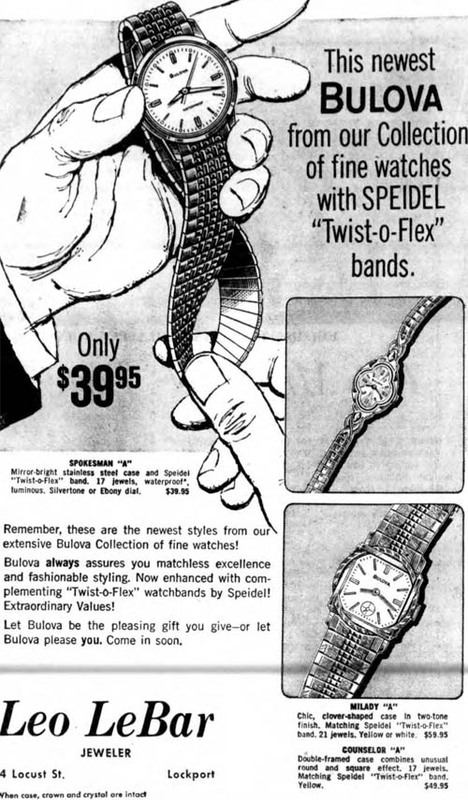 By the time I got into Bulova watches I had been collecting for a couple of years and started buying more solid gold examples of various brands. This was a few years ago when they could be had for under $250. Since I found MyBulova, around the 1st of this year, I've been buying many more plated/stainless models. I think the last solid gold I bought was a Gruen back in the spring. Counselor, generic, I'd say. Possible variant due to band difference? Looks like Geoff said he fitted it with a period band. EDIT:- Darren, nothing looks better than a tasteful solid gold watch, but if you're having trouble indexing them all, I will send my adress!